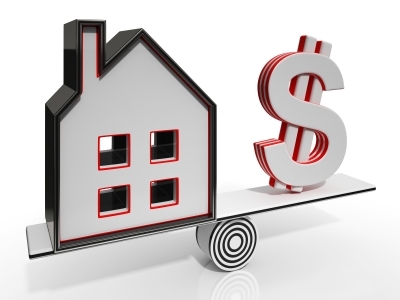 With the varieties of opinions about reverse mortgages out in the marketplace a question comes up, that is, ‘would a reverse mortgage be a fall back, last resort, or would it be a positive option for a financial plan?’ While the answer lies in the hands of the borrower, or owner, there are worthy considerations to take into account. Some, including financial planners, might label those choosing a reverse mortgage as poor planners, those that did not take the time or effort to look long at their future needs and desires and work that into a plan. Indeed, many who have sought financial planning around a reverse mortgage probably had not had a consult up until that point. There are many reasons to consider a reverse mortgage in a forward moving plan, making the choice before it might be the only option available (though this is not bad either.) First of all, many coming into retirement are ready to downsize or move. Maybe they raised their children in a two story house in Illinois, and now do not need five bedrooms, or to weather the cold when their children and families are in clement areas such as Georgia or South Carolina. A reverse mortgage makes this possible. The amount a reverse mortgage can be reaches a defined limit, taking into account the equity of the present home and the age of the borrower(s.) This limit can be used in multiple ways, it can go towards that downsized home, be a credit limit, can cover monthly payments for the rest of their lives, or can even be a lump sum the borrower receives immediately. There are also other typical reverse mortgage scenarios. For instance, as well as one might plan, life offers us unexpected events. A reverse mortgage is a respectable option when a family is in distress, many foreclosures have been avoided with the solid help of a reverse mortgage. And sometimes, when a family is not even in distress, they wish to take advantage of all their hard work, which is there in the form of the home they own, and have liquid resources instead of just equity that cannot be utilized. The ways a reverse mortgage can be brought into the questions of a plan are as unique as the personal life situations existing. For seniors 62 and older, a reverse mortgage can objectively be considered as an alternative revenue option. This takes away the stigma sometimes attached to it as a choice that was the only option left, a fall back when it is really a move forward.